Traffic lights are currently being installed at the Elizabeth Street Roundabout. Image: John Borren. Motorists may have noticed some changes being made to the Elizabeth Street roundabout on State Highway 2, as traffic lights are being installed. It was first announced last year that the lights will be installed and will follow the same protocol as the lights installed at Barkes Corner. When traffic builds on one of the roads that leads into the roundabout, the lights will activate by turning amber, then red. The red lights will stop the vehicles for between 30 seconds and one minute, allowing traffic from the busiest road to enter the roundabout. 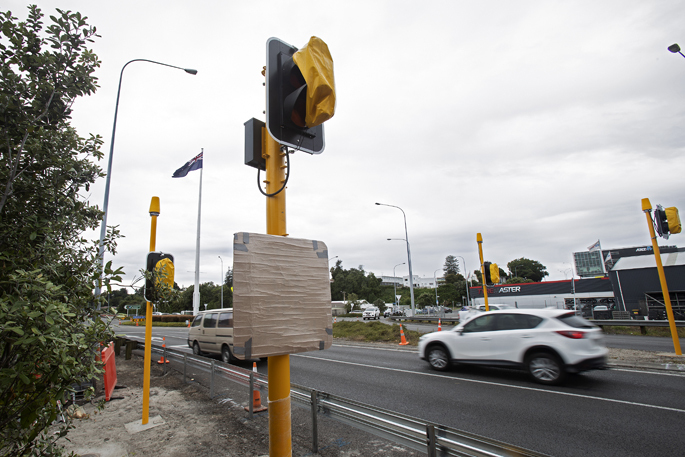 Back in December 2018, Bay of Plenty Transport System Manager Rob Campbell said most of the time the traffic lights won’t be activated, except when high traffic queues on one leg activate them. “The traffic lights will turn red to stop the vehicles, allowing traffic from the busiest road to enter the roundabout.